Are you ready for the holidays? There are so many things to plan and do during the busy holiday season! 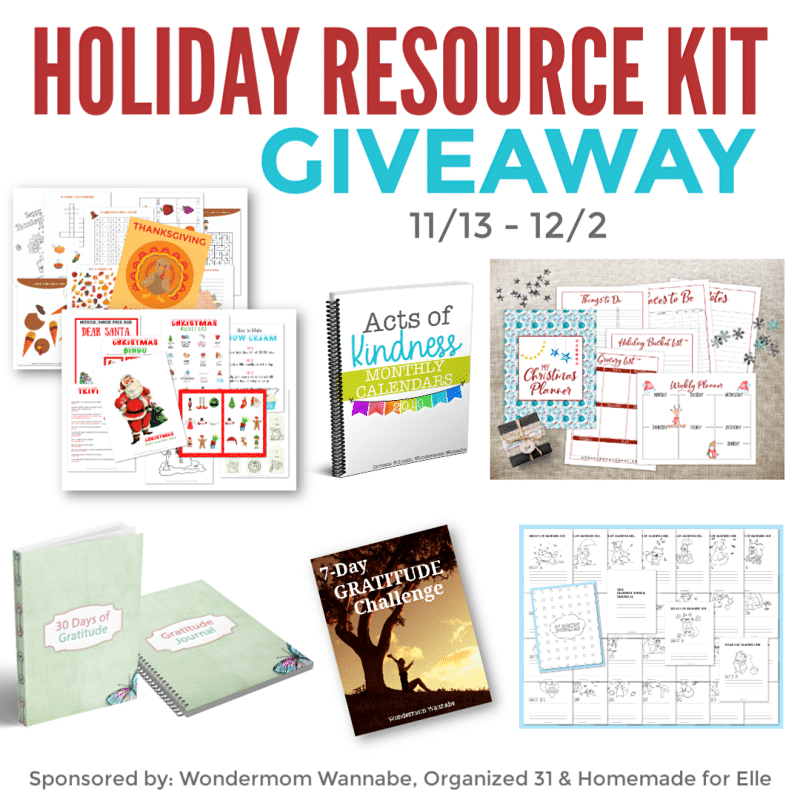 That’s why this month’s giveaway is full of resources to help make your holiday season less stressful and more joyful. Each month I join with my friends, Susan from Organized 31 and Corinne from Wondermom Wannabe, to offer our readers a giveaway as our way of saying thank you for your support. THREE lucky winners will receive a set of all the products listed above. And since we appreciate ALL of our readers, we’re also giving EVERYONE 10% off your entire order from the Wondermom Shop even if you aren’t one of the winners. Just use code NOVEMBERGIVE at checkout to get the discount. The coupon code is good through December 10, 2018. This giveaway is open to anyone 18 or older. Ends 12/2/18 at 11:59 pm EST.